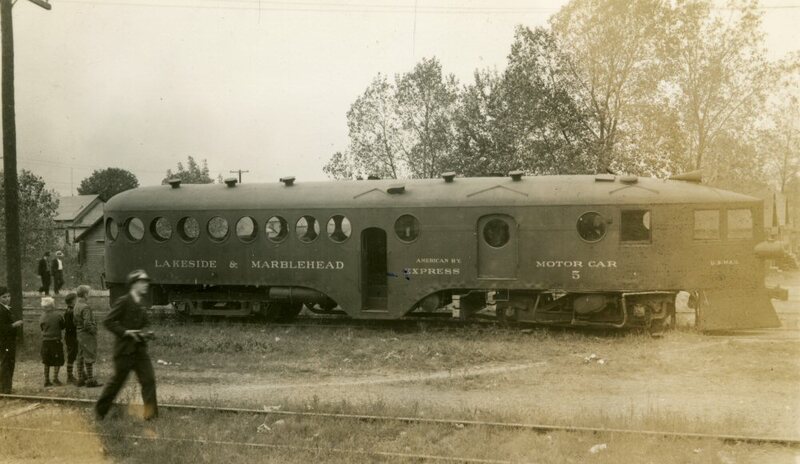 Lakeside and Marblehead Railroad | The McKeen Motor Car Website Lakeside and Marblehead Railroad | The Compendium of Knowledge on the McKeen Motor Car Company, and their experiments. Photo Courtesy of Madison Kirkman, M.M.C.C.H.S. Both of these photos came from a collection with no information on them. 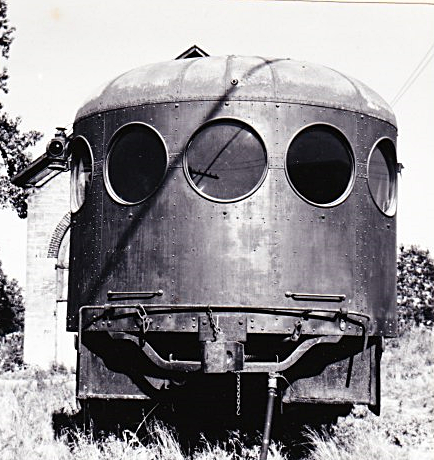 The exterior view shows a wood pilot which replaced the McKeen steel pilot likely after an accident with an animal or car. 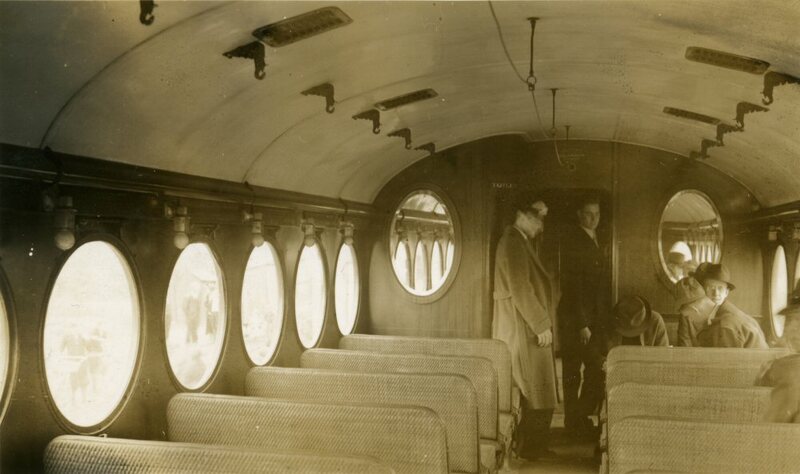 The photos however were taken early enough that the interior looks to be in good condition, which no real noticeable wear. 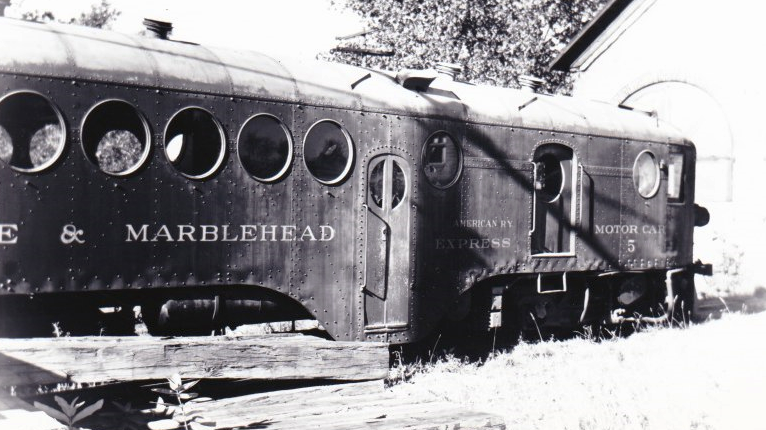 The Builder’s Badge above the doorway was only previously known about because of the restoration of the Virginia & Truckee #22 McKeen at the Nevada State Railroad Museum. 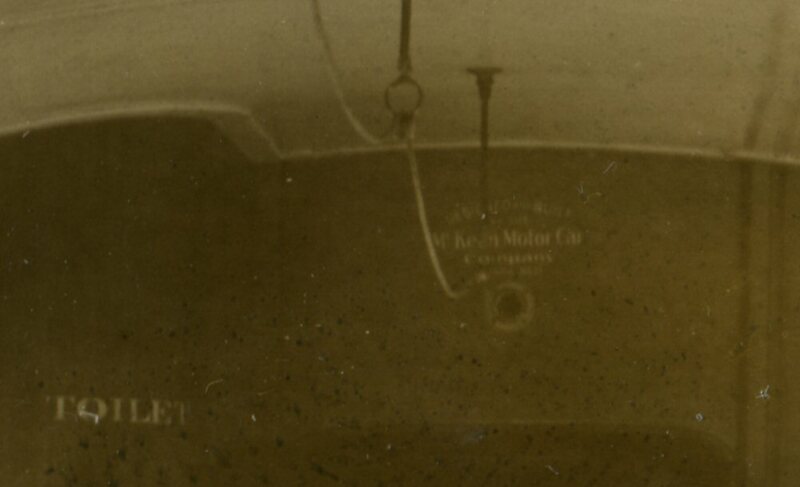 They found at least one original panel with that lettering on it. 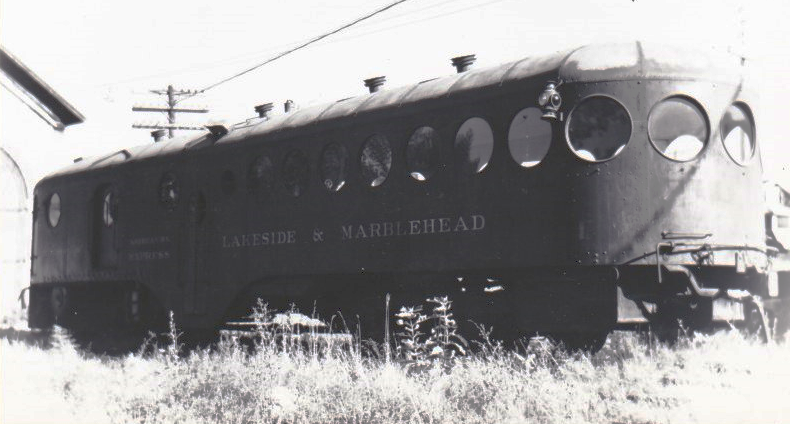 The Lakeside and Marblehead Railroad was a approximately 7-mile long line that was constructed in the 1880s to transport limestone from the quarries of Marblehead to the Lake Shore & Michigan Southern Railway (later New York Central System) mainline at Danbury. 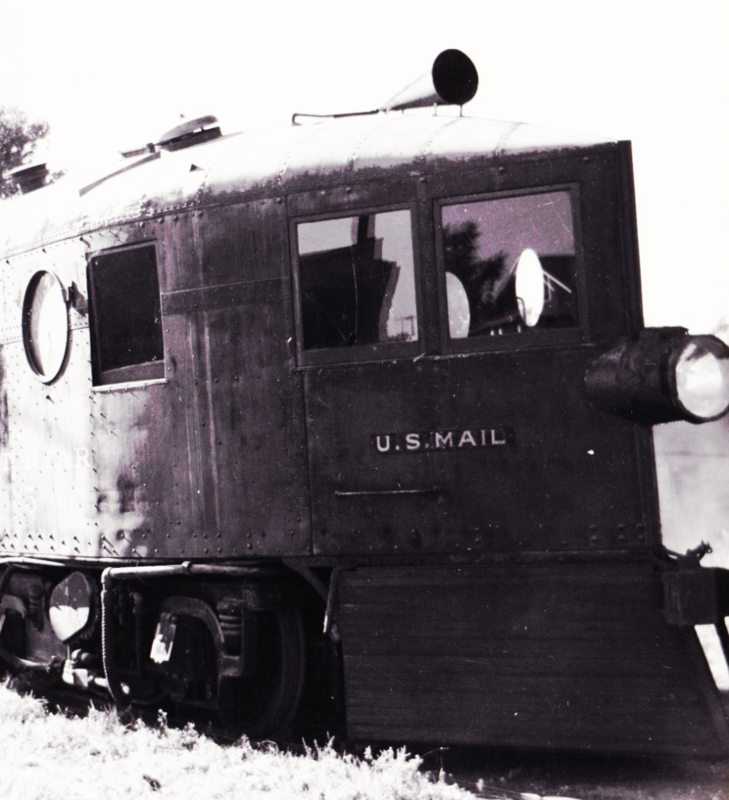 The railroad provided passenger service until 1930. 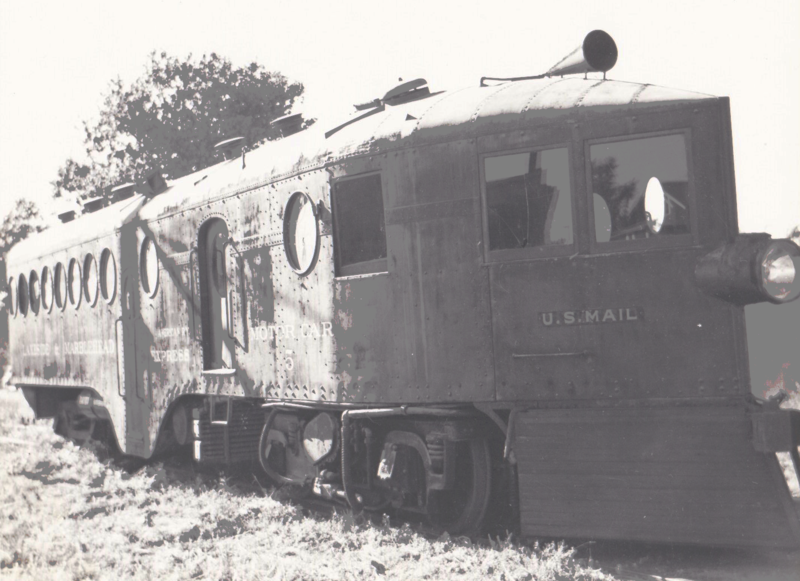 In the 1950s, trucks began to take over the job of hauling limestone, signaling the death of the already financially-strained railroad. 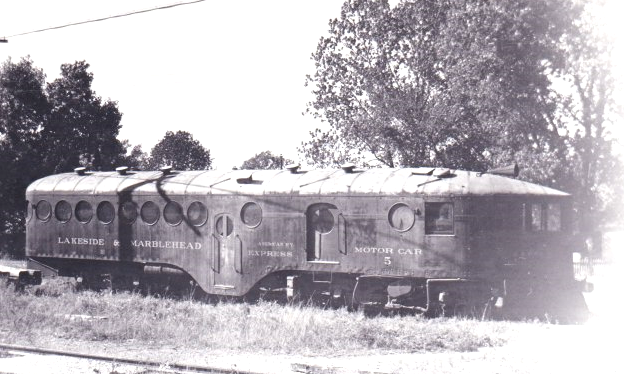 In 1964, the railroad ceased operations as a common carrier, and subsequently came under ownership of the Standard Slag Company. 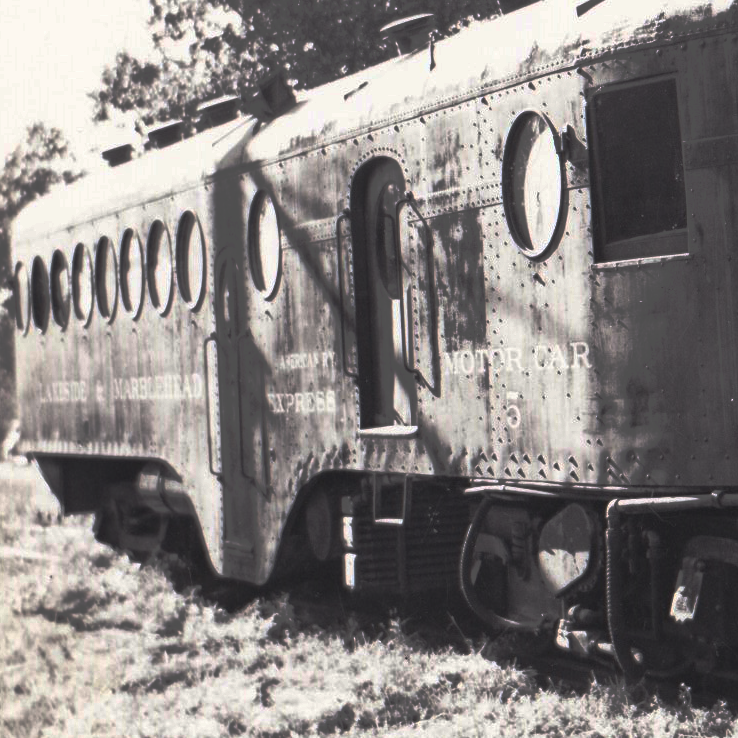 From 1974 to 1977, the line had fell into disuse, until an order came to haul by rail in 1978. 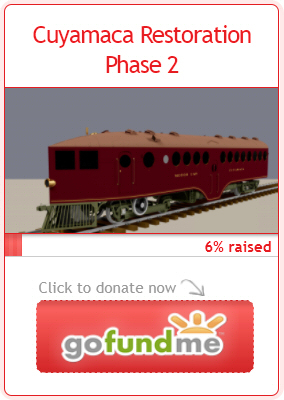 It turns out, this would be the last order ever carried by the railroad. 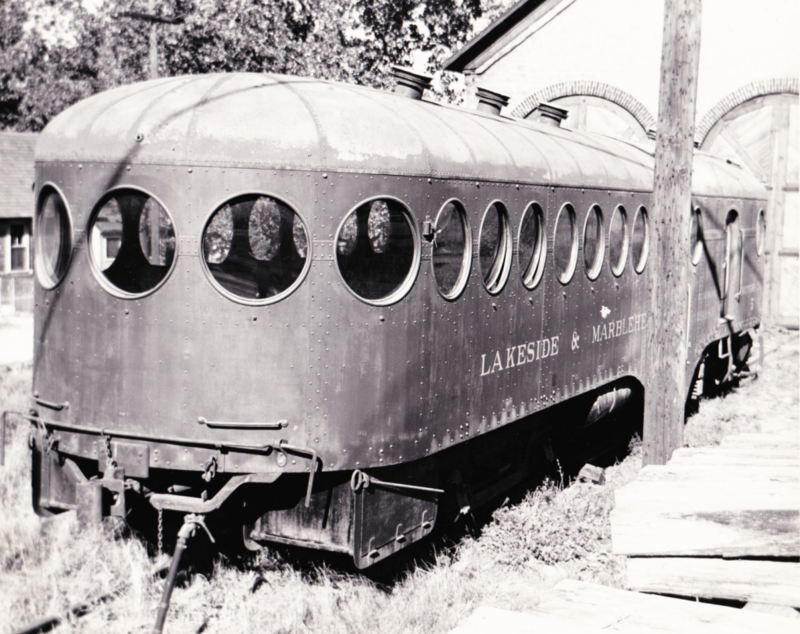 The final load of limestone was carried in 1980, the line abandoned, and the remaining locomotive stored. After the Lafarge Corporation took over the quarry in 1989, renovations took place almost immediately. Tracks were pulled up beginning in 1991, and completed in 1997. 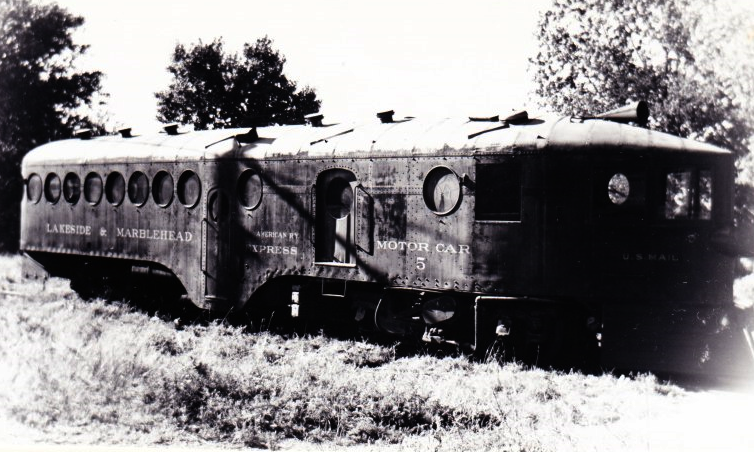 The remaining diesel locomotive was also pulled from storage and scrapped on-site in 1995. 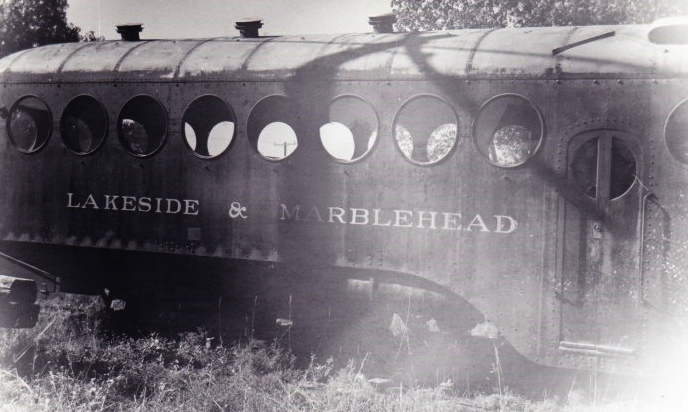 A small engine house at Marblehead was razed in 1992, and the depot in 2002. Today, a portion of the railroad is now in use as a walking path. 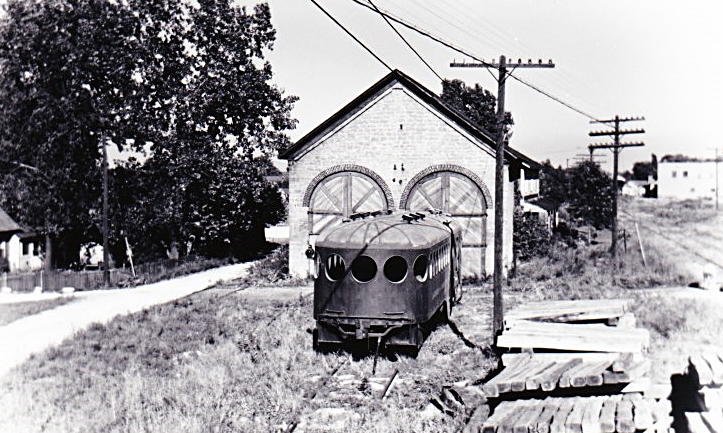 The depot at Lakeside was restored in 1995, and still stands today. Apparently, some rail still exists on company property. Thanks to Aaron M. for contributing information about this route.